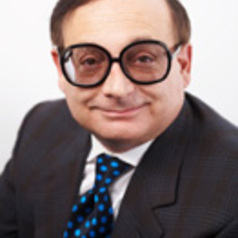 Dr Harry Melkonian is a practicing lawyer and legal educator. He has practiced law since 1975 and is licensed in England, New South Wales as well as New York and California in the USA. He has lectured in comparative law in Australia and has a wide experience in constitutional rights litigation and his practice specialises in First Amendment issues. In the course of his career, Dr Melkonian has conducted over 1000 jury trials in the USA. Some of his trials involving constitutional issues include being the lead trial lawyer in the landmark Meinhold v US case in which the right of gays to serve in the US military was first established. He also represented the Chief of Police during the aftermath of the riots in Los Angeles after the Rodney King trial. With the late Louis Nizer, he represented Rancho La Costa in a six-month defamation trial against Penthouse Magazine involving allegations of organised crime affiliations. In a firearms case involving the right to bear arms, he represented Colt Firearms in a dispute with the City of Los Angeles. He has represented clients before the Supreme Court of the United States and the Supreme Court of California. Harry received his Bachelor of Arts (Anthropology) from the University of Rochester in 1971; Juris Doctor from New York University School of Law in 1974; Masters (Astronomy) from University of Western Sydney in 2003; Postgraduate Diploma in Copyright Law from Kings College, University of London in 2002; and was awarded his doctorate from Macquarie University in 2009.